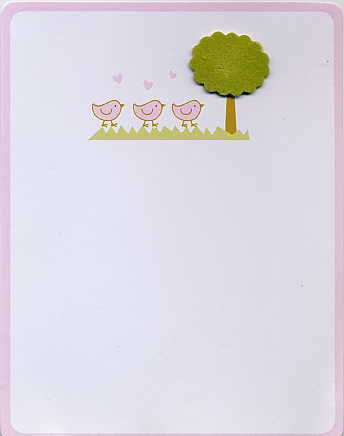 These sweet pink chicks are the perfect motif for a bay girl shower invitation. 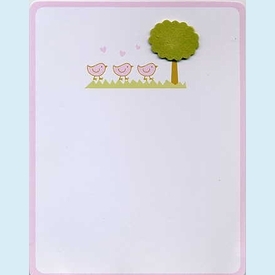 They have a soft pink border and come with rounded corners. A flocked fabric treetop makes this invitation stand out. Customer assembly required. CLOSEOUT: Only 8 sets left! SIZE DIMENSIONS: 5" x 6"